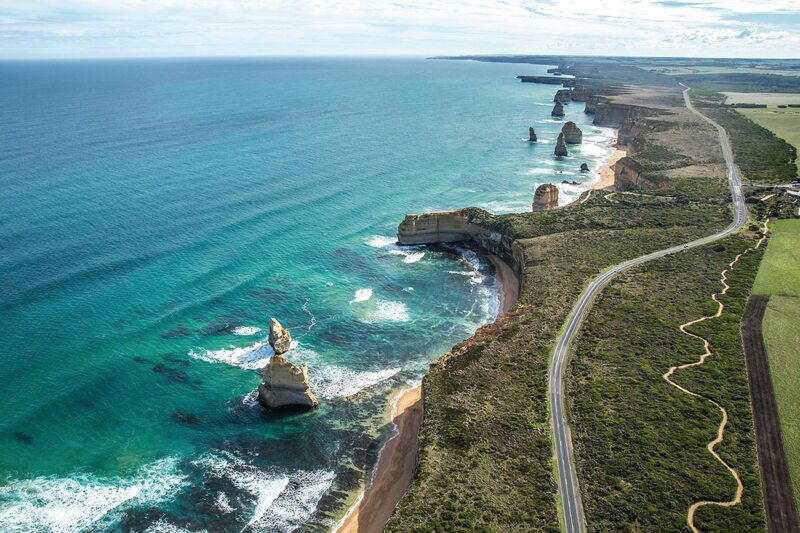 The Great Ocean Road isn’t just the jewel in the crown of Australia’s marvelled coastline, it’s also one of the most spectacular drives this beautiful world has to offer. 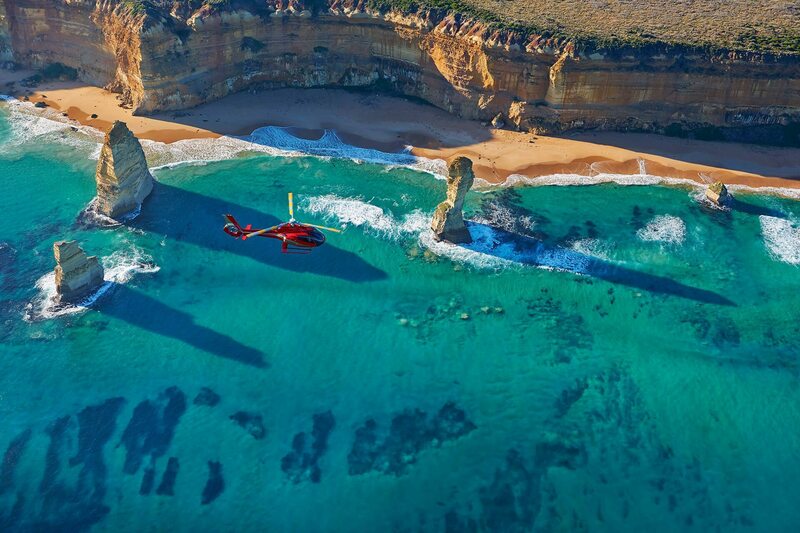 A Great Ocean Road and Twelve Apostles tour simply cannot be missed. Acacia’s amazing touring journeys have something to offer at any time of the year. Whether it’s admiring the summer sun glinting off the sea while you watch surfers catch a wave, or catching a glimpse of a whale pod coming into calve as you’re hypnotised by the majesty of the wild Southern Ocean. Even storm-wracked skies provide a truly dramatic background for the rugged coastal beauty on a 12 Apostles tour. 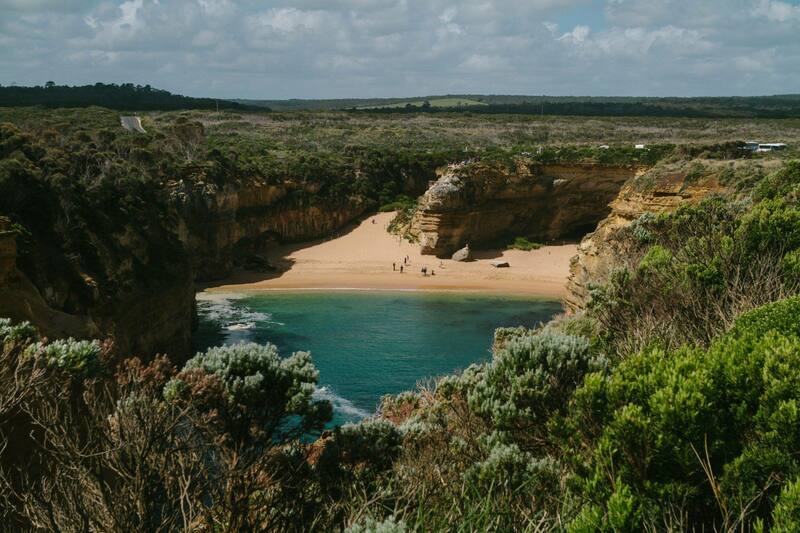 From Torquay to Apollo Bay the Great Ocean Road hugs forested coastal cliffs as it twists and turns past white sand surf beaches and through picturesque seaside villages. The hinterland of towering gum trees provides the perfect habitat for koalas, kangaroos, and colourful native parrots. The road then turns inland through lush green, semi-temperate rainforest featuring ferny gullies, moss-covered timber, and fresh water cascades. Just breathing the crisp, oxygenated air is a remarkably rejuvenating experience. And finally gasp as you emerge at the sheer limestone cliffs of the Shipwreck Coast. Battered by the fierce waves of the Southern Ocean, the dramatic coastline has been relentlessly carved into limestone towers, gorges and caves. The landmark Twelve Apostles is one of Australia’s most-photographed sites and yet no postcard can truly capture its awesome beauty. 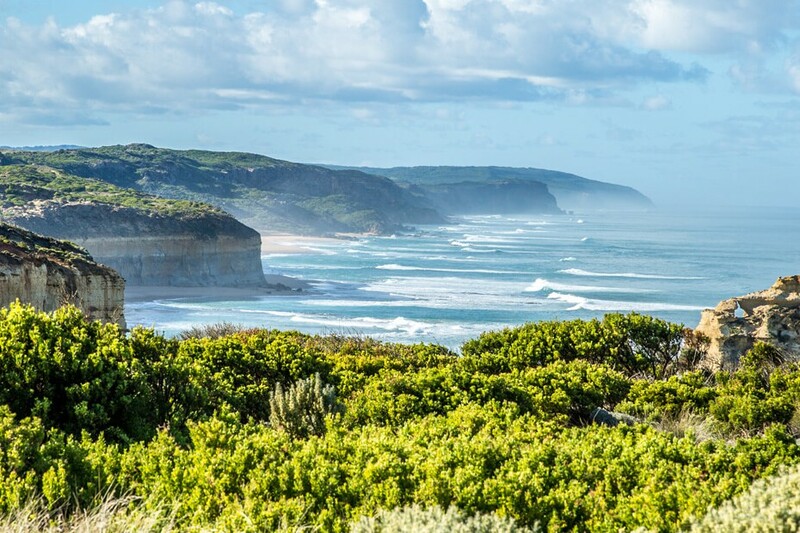 The Great Ocean Road fringes the nation’s dairy heartland and accommodates award-winning artisanal cheese factories and creameries. Gourmet travellers will discover acclaimed restaurants exploiting the finest local produce in the scenic seaside towns that punctuate this fantastic adventure. 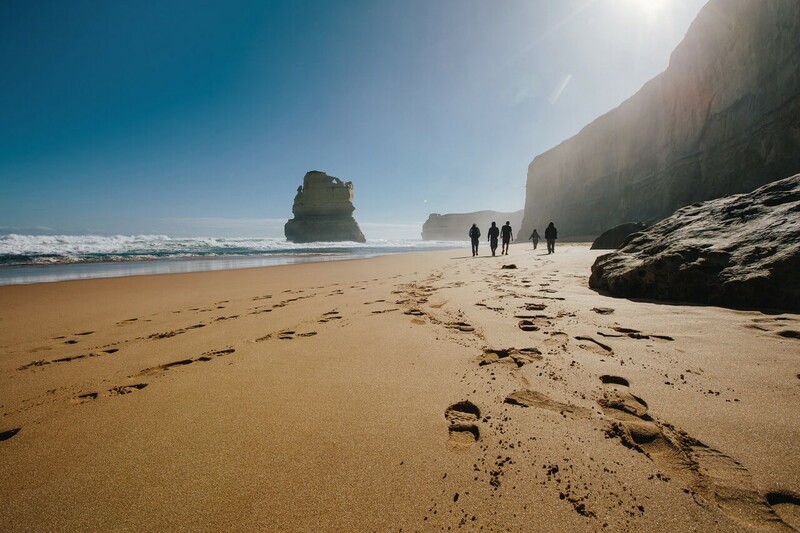 From a simple 12 Apostles day trip to a multi-day Great Ocean Road & 12 Apostles tour, Acacia offers the most luxurious Great Ocean Road and Twelve Apostles tours in Melbourne. A leisurely two-day exploration of this majestic coastal wonder. 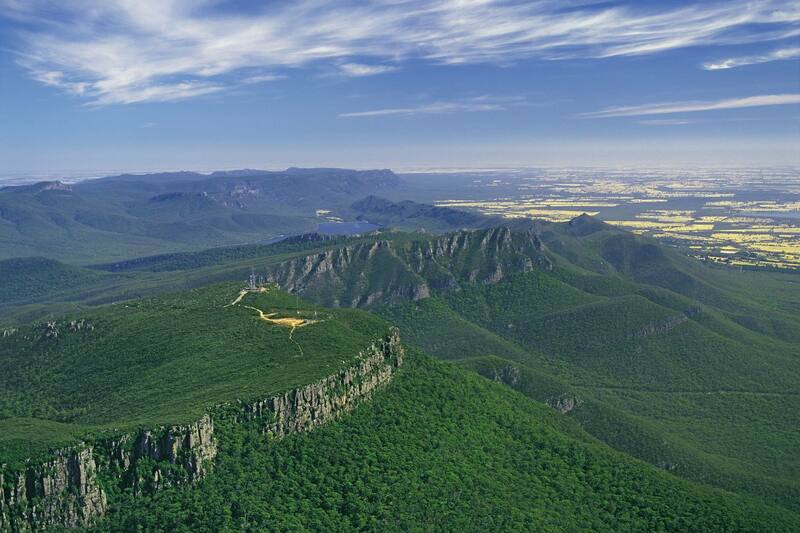 Combine Victoria’s Great Ocean Road and the great sandstone mountains of the Grampians National Park.